Will AI Achieve Human Consciousness? Discovering the subconscious roots of feelings like anxiety, fear or depression to be able to solve personal problems at a conscious level implies having a practical grasp what consciousness is all about. The ability to reflect on one’s own thoughts and behavior is a unique human asset. 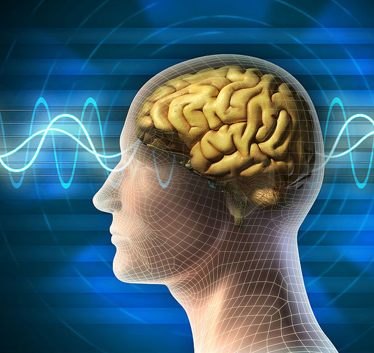 Consciousness and intelligence are closely related. Consequently, the discussion concerning the impact of artificial intelligence (AI) should encompass issues of artificial consciousness (AC) as well. AI today is a combination of advanced statistics and applied mathematics which harnesses new advances in computing power and the explosion of available data enabling computers to have new powers of inference, recognition, and choice. Deep learning, a subset of machine learning, loosely models the brain’s ‘neural network’. In a deep learning network, ‘neurons’ have discrete layers and connections to other ‘neurons’ — much like the real neurons in our own brains have. Artificial Neural Networks (ANNs) are based on an abstract and simplified view of the human neuron. Connections between artificial neurons can be formed through learning and do not need to be ’programmed.’ However, current ANN models lack many physiological properties of real neurons, as they are more oriented to computational performance to solve a specific problem than to biological credibility. This limitation has coined the term ‘Narrow AI (NI)’ in contrast to the term ‘Artificial General AI (AGI)’ which stipulates human intelligence in a broad way. To achieve AGI, it is widely agreed that we need a more precise view how our brains function. Although more than 100’000 neuroscientists are engaged in brain research worldwide, publishing more than 20’000 research papers per year, neuroscience research is still years away from defining the functionality of a neurons behaviour and its synaptic network to crack the neural code of intelligence and consciousness. For centuries there have been endless philosophical debates on the subject but still no consensus has been reached on the question: “What really is consciousness?”. There is widespread agreement however that consciousness resides in the brain and is associated with brain processes as much as intelligence is. Strongholds of the AI community like Google’s Deep Mind Division have recently begun hiring top neuroscientists to strengthen their expertise in this area. In an article published in 2017, Demis Hassabis, founder of DeepMind, together with three co-authors argued that the field of AI needs to reconnect to the world of neuroscience. In their opinion we must find out more about natural intelligence to truly understand (and create) the artificial mind. The ‘Inside World’ deals with issues of our inner self, the ‘Outside World’ with issues regarding our external environment and interactions with others (machines or humans). Consciousness provides the link between awareness and subconsciousness and is closely coupled to both. The task to move subconsciousness to consciousness may be supported by psychologists through dream analysis or other therapeutic measures. With the unique human capacity to reflect on oneself and to move subconscious issues to a conscious level, humans have a capacity intelligent machines currently lack. Awareness, however, is close to the realm of today’s intelligent machines. Our environment and our social interactions are digitally mapped and registered, our emotions and behaviour are biometrically sensed and the IoT (Internet of Things) provides us with intelligent products and services. Yet, the mystery of consciousness remains unresolved due to the subconscious part of the equation. Dreams, emotions or intuition are expressions of a subconscious state. We do not really know or understand, how and why subconsciousness exists. Most scientists seem to agree, however, that consciousness and subconsciousness are mapped in our brain’s various regions, connected through billions of neurons and trillions of synapses. Can intelligent machines become conscious? the self-monitoring of these computations to give a subjective sense of certainty—in other words, self-awareness. There is another fundamental theory that attempts to answer the question of consciousness from a system point-of-view. This theory, called integrated information theory, or IIT, has been developed over the past two decades by Christof Koch, president and chief scientific officer of the Allen Institute for Brain Science, in Seattle and Giulio Tononi, Professor in Consciousness Science at the University of Wisconsin. The theory attempts to define what consciousness is, what it takes for a physical system to have it, and how one can measure, at least in principle, both its quantity and its quality. A perfectly executed, biophysically accurate computer simulation of the human brain, including every one of its 80 billion neurons and its matrix of trillions of synapses, would, according to the theory, not be conscious. But the same conclusion need not be true for unconventional system architectures. Special-purpose machines, built following some of the same design principles of the brain, containing what is called neuromorphic hardware, could be capable of substantial conscious experience, according to the theory. If we want to move AI towards AGI, we will need our computers to become more like our brains. Hence the recent focus on neuromorphic technology, which promises to move computing beyond simple neural networks towards circuits that operate more like the brain’s neurons and synapses do. The development of such physical brain-like circuitry is progressing rapidly. However, neuromorphic researchers are still struggling to understand how to make thousands of artificial neurons work together and how to translate brain-like activity into useful engineering applications. Bruno Olshausen, director of the University of California, Berkeley’s Redwood Centre for Theoretical Neuroscience, recently made the statement that neuromorphic technology may eventually provide AI with results far more sophisticated than anything deep learning ever could. “When we look at how neurons compute in the brain, there are concrete things we can learn,” he said. 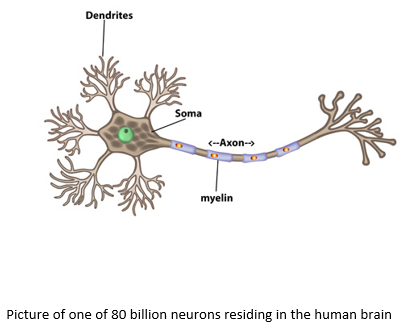 The ultimate brain-like machine will provide analogues for all the essential functional components of the brain: the synapses, which connect neurons and allow them to receive and respond to signals; the dendrites, which combine and perform local computations on those incoming signals; and the core, or soma region of each neuron, which integrates inputs from the dendrites and transmits its output via axon. Simple versions of these basic components have already been implemented in silicon. In June 2017, IBM and the US Air Force announced, that they were teaming up to build a unique supercomputer based on IBM’s TrueNorth neuromorphic chip architecture. The new supercomputer will consist of 64 million neurons and 16 billion synapses, while using just 10W of power. In comparison the brain of a mouse has about 70 million neurons. Once AI becomes a generally available commodity, machine-consciousness will be the next major issue humanity has to deal with. A neuromorphic machine, if highly conscious, might require intrinsic rights. In that case, society would have to learn to share the world with its own creations. However, we might also discover fundamental differences between human and machine consciousness. While intelligence is backed-up by data and algorithms, consciousness and subconsciousness are the source of human diversity. Does it make sense to build conscious machines? Most likely economics and ethical concerns will answer this question. Regardless, the issue of artificial consciousness and the possible behavior of conscious, intelligent machines will fuel the ongoing debate about the future of humanity.